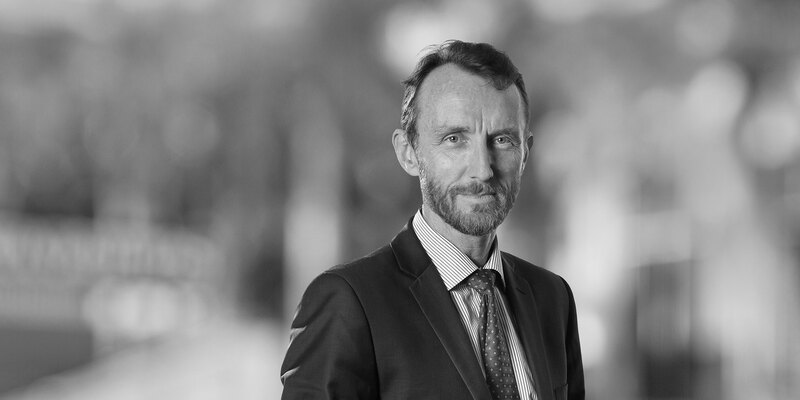 Michael Polkinghorne focuses on advising clients on arbitration and litigation matters, notably in the areas of energy, telecommunications, project finance and infrastructure. He has served as counsel and arbitrator in numerous arbitrations conducted under most major institutional rules, helping to resolve disputes for a range of significant commercial and sovereign clients. He is the former Australian member of the International Court of Arbitration of the ICC, and was formerly a member of the ICC Task Force on arbitrations involving state entities. 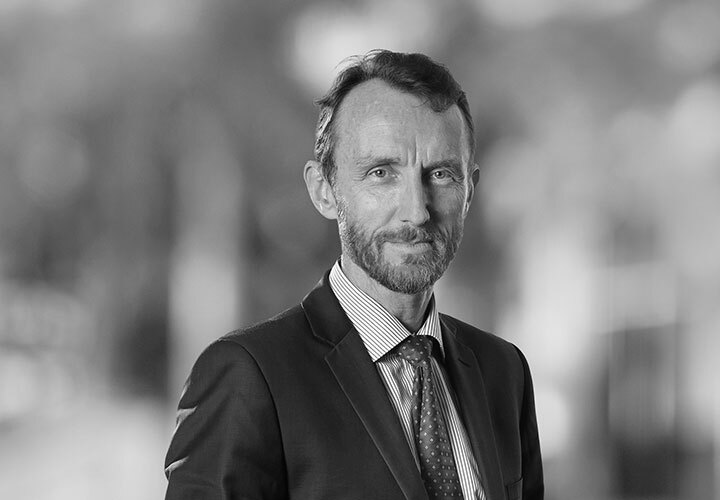 Michael has handled disputes arising in many different countries, and has significant experience in the area of foreign direct investment and acting for and against states. He is able to apply his considerable knowledge and insight, gained through years of experience, to guide his clients through sometimes prolonged and highly complex proceedings. Michael is consistently ranked in the top tier of arbitration practitioners in Paris, and was named "Energy Lawyer of the Year" at Euromoney's 2014 Global Commercial Arbitration Awards, and was the winner of the French Arbitration and ADR Client Choice Award in 2017. In recent years Michael has been involved in a number of mediations, particularly in the industrial gas sector. He has served in over two dozen cases as arbitrator (sole, party-appointed or chair), predominantly in the energy sector, under the ICC, LCIA, Bahrain, Thai MoJ and UNCITRAL rules. Michael is also a member of the panel of arbitrators of the BVI International Arbitration Centre, the Asian International Arbitration Centre, OHADA, and the Korean Commercial Arbitration Board. Michael also has a significant transactional practice, advising clients in the energy and infrastructure development fields. He has been involved with a number of petroleum clients on projects in South East Asia, the Russian Federation, India, China and West and North Africa. He is presently a member of the Legal Advisory Taskforce of the European Energy Charter Secretariat, and lectures regularly on oil and gas issues throughout the world. He has written extensively on energy dispute resolution and foreign investment, and provides courses on long-term energy contracts and dispute resolution. Michael is a dual-qualified lawyer, resident in Paris where he heads the office's arbitration group. He is joint-head of the firm's oil and gas practice, as well as pro bono leader of the firm's Paris office. Michael has advised in regards to numerous disputes ongoing under long-term industrial gas agreements. Michael has spent a number of years representing different European buyers and sellers of gas in multiple price reopener disputes, with the amounts in dispute running to over a billion dollars. The most recent instructions date from 2017 to 2018. Michael is advising a number of European and Asian clients in the context of JV disputes in areas ranging from energy storage to commercial distribution. Michael has represented an African, Middle-Eastern-owned company, in a successful ICC arbitration, conducted in French, with an African State, in connection with public works contracts, as well as enforcement proceedings and annulment actions in numerous jurisdictions worldwide. Michael has represented the Ukrainian state in several unrelated disputes brought under both contract and bilateral investment treaties. Michael advises a Scandinavian hydroelectric producer on issues arising under long-term power purchase agreements over several years. Michael represented a state agency in a PCA dispute brought in relation to the Kyoto Protocol. Michael has served as Chairman, sole, co- and party-appointed arbitrator in cases involving, inter alia, (a) refinery projects in North Africa and the Middle East, (b) drilling projects in the CIS, (c) PSA disputes in East and West Africa, (d) mining disputes in South East Asia, and (e) various other matters, predominantly in the energy field. "No matter what issues come up, he knows about them immediately, even if they have to do with the industry rather than just the law"; "He is to the point, focused and knows what he's after"; "He's a larger-than-life character and has an incredibly good sense of humour." "A superb lawyer"; "Outstanding knowledge of certain aspects of energy law." "He is running a spectacular practice and is one of the leading oil and gas arbitration experts. He really is excellent." "Liked and respected"; "doing some very good work." "Doing great work" and "an extremely able counsel and arbitrator"
"Well-respected, Paris-based practitioner in this market and maintains an excellent reputation among his peers. He is highly regarded for his work in arbitrations throughout Africa, with notable expertise in the oil and gas sector." "An 'exceptional' lawyer and 'certainly one of the leaders of the field.'" "Enjoys an excellent reputation in Europe for his wide-ranging international arbitration practice"
"Fantastic for energy disputes", "a joy to work with", "diligent manner" and ability to "grasp and organise complex issues with ease". "very impressive individual", "convincing, structured and very focused." "an excellent lawyer without a huge ego" who has "a great practice and is well respected." Paris Energy Series No.10: The Paris Agreement on Climate Change: Beware the Shield? Egypt's legal system: refuge in a storm? Petroleum Economist Names White & Case "Legal Services Provider of the Year"